Becky and Charlotte were relaxing at home one afternoon when a neighbor knocked on their door and told them that someone had dumped six puppies on the edge of their property and abandoned them there. The family immediately sprang into action and rushed down in the heavy rain to the entrance of the field — and found six puppies, all different breeds and sizes, huddled up together in a corner. The puppies were scared and clearly in need of help, so the family didn’t hesitate to take them all in and give them a warm place to wait until help arrived. 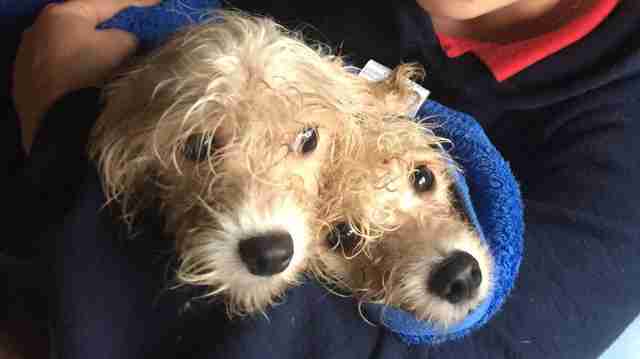 The family contacted the RSPCA, which came out to collect the poor, sickly puppies. 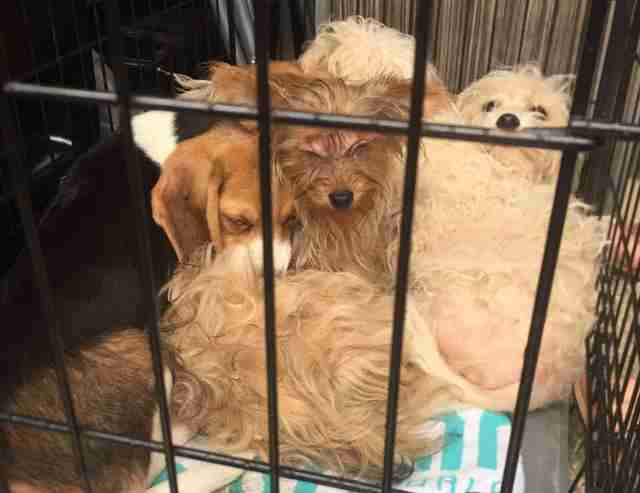 The dogs included a beagle, a Yorkie, a Lhasa apso, a puggle and two poodle crosses, which led Bailey to suspect that the dogs had originally come from a puppy farm. 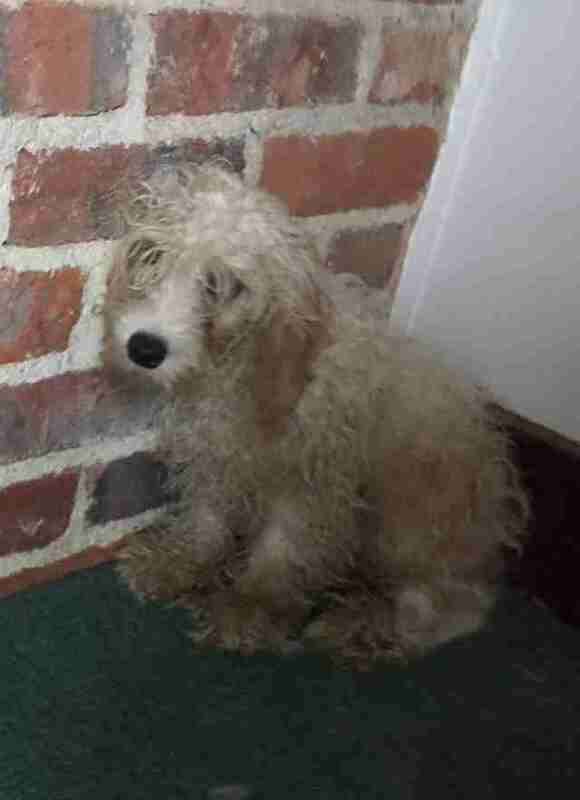 The RSPCA commended the kind family for taking the puppies in and keeping them safe until the rescue could come and collect them. 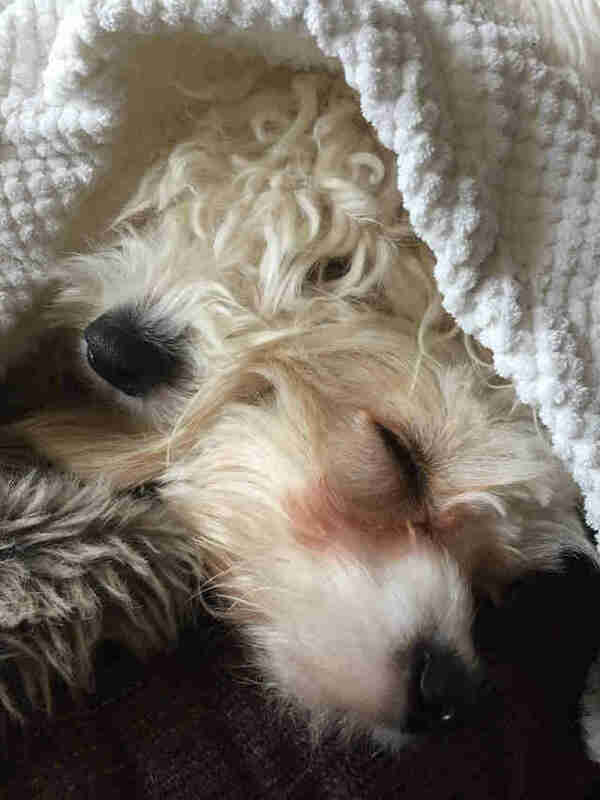 Before the puppies were taken to the vet and then sent off to foster homes, Becky and Charlotte bonded with the two poodle crosses, snuggling them in warm blankets and trying to make them feel loved after being neglected for so long. They were so sad to see the two little dogs go — but, as it turns out, they didn’t have to feel that way for very long. 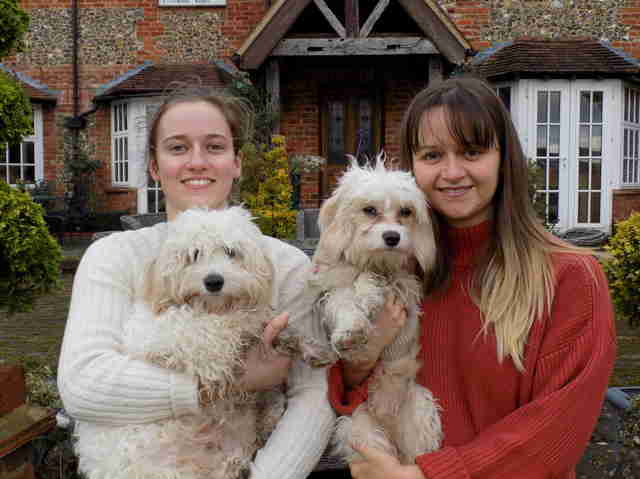 The two poodles, later named Bertie and Nancy, were fostered for a bit while they healed, and then Becky and Charlotte officially adopted them into their family. The other four rescued dogs all went off to loving forever homes as well, and the family who found them all couldn’t be happier with how things worked out. Bertie and Nancy are now doing incredibly well in their new home. They are so affectionate with everyone in their family, and get along wonderfully with all their new dog siblings. They have so much room to run and play now, and even though they had a rough start to life, their incredible happy ending has made it all worth it. “We can’t imagine life without them,” Becky said.